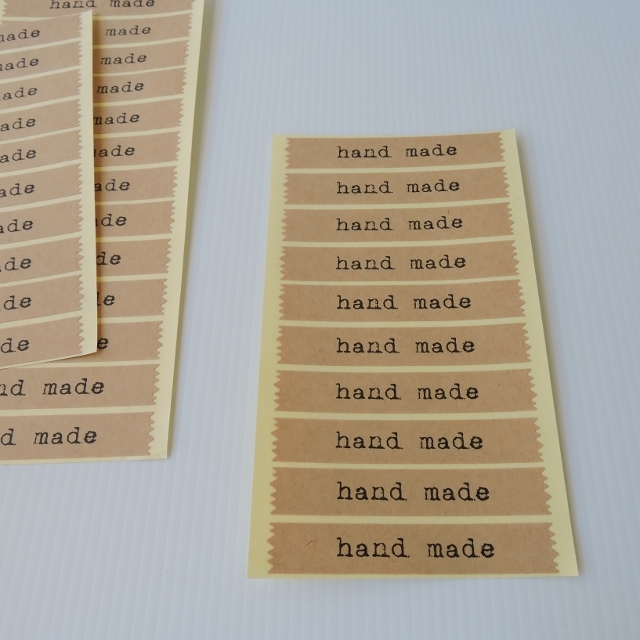 Nothing beats a sticker to elevate you packaging to the next level! 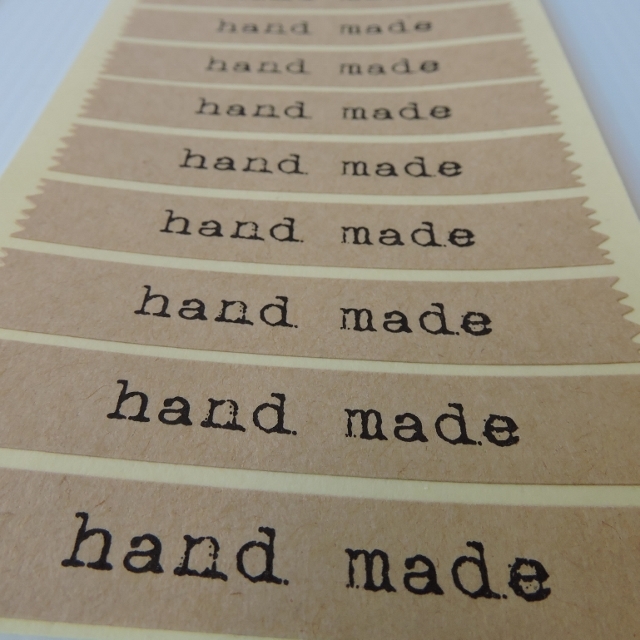 And these gorgeous "hand made" labels are sure to hit the spot with your customers! 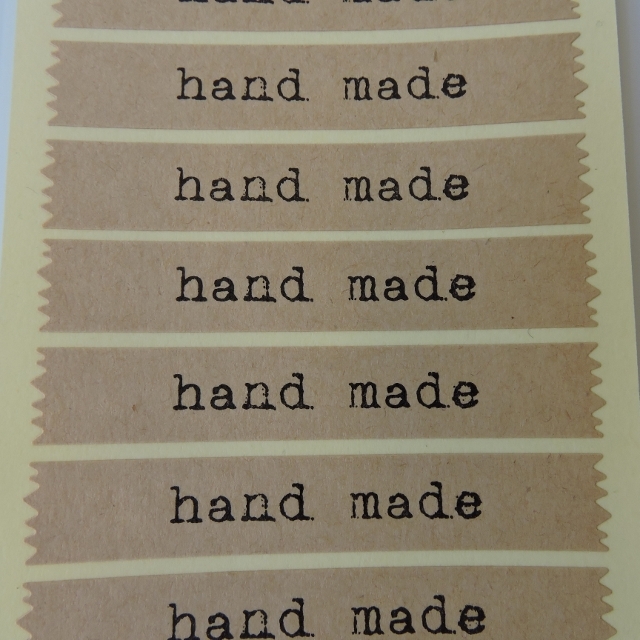 Made from quality Kraft coloured sticker paper these labels can be used for gift giving or small business items alike! 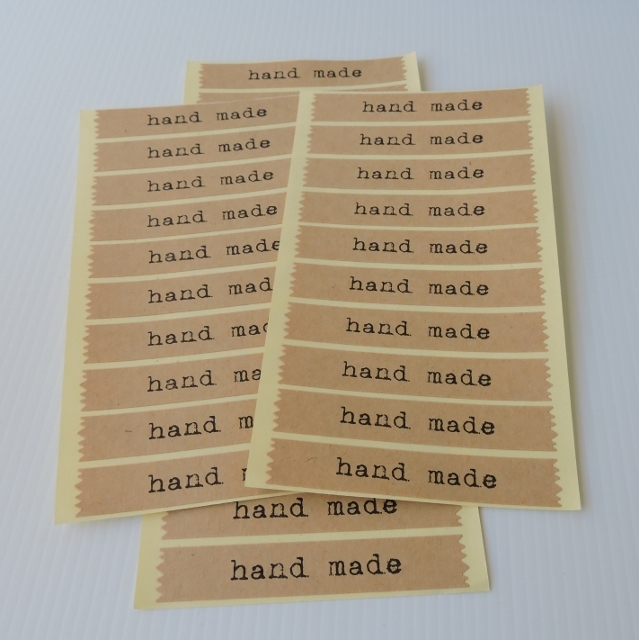 Size: Each label measures 70mm x 12mm and has zig zag edges on the ends like torn from a tape dispenser! 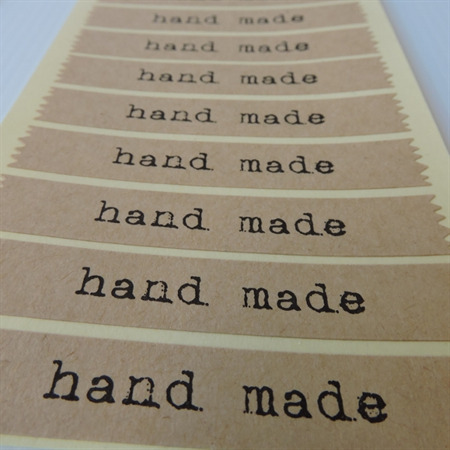 The words 'hand made' are printed in a typewriter font. You will receive 2 sheets of 10 stickers and one of 13!